As the former director of the Climate Change Division at the Secretariat of the Pacific Regional Environment Programme (SPREP) for the past seven and a half years, Dr. Netatua Pelesikoti, or Neta as she is widely known, led Pacific Island efforts in tackling the single most pressing issue facing the region today. She brought over 20 years of experience in climate change, coastal management and disaster risk management to this crucial role. In 2012, Neta became the first and only Pacific island woman to be a lead author of an Intergovernmental Panel on Climate Change Report. “Whether the difference is in developing a government policy, providing advice or working with the community in an activity to build their resilience or simply through watering a plant – I enjoy making a difference and this is what really drives me in my work” explained Netatua Pelesikoti, Former Director of the Climate Change Division, Secretariat of the Pacific Regional Environment Programme (SPREP) from Tonga, to the SPC. 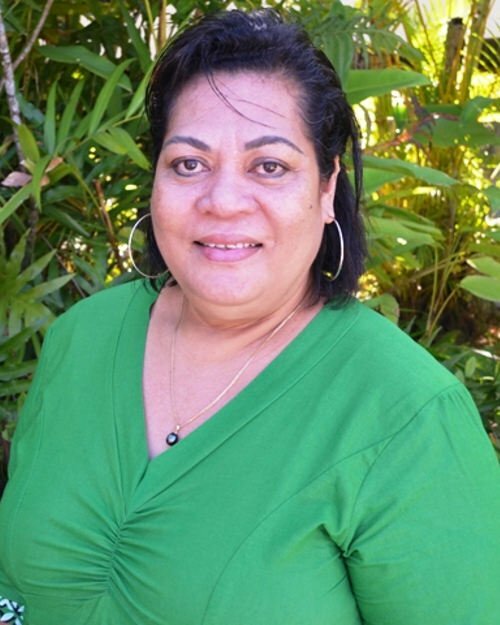 Neta has previously served as an advisor at the then South Pacific Applied Geoscience Commission (SOPAC), now the Applied Geoscience Division of the Pacific Community (SPC). Often described as the ‘Queen of Disaster Risk Management’ in the Pacific region, she has considerable experience working with Pacific island communities. A coastal ecologist by profession, she did her first degree at the University of the South Pacific in geography and economics; completed her Masters in Coastal Management in the Netherlands and finished her PhD in Australia in coastal monitoring focusing on the coastal water quality, coral reef and seagrass. She began her career as an environmental technical officer in Tonga and then progressed to working on policy and management at the national level including monitoring and evaluation, training, and project management. Upon completing her term at SPREP in May 2017, Neta has returned to serve in her home country Tonga. This portrait of Netatua Pelesikoti was first published by the Pacific Community for the 70 Inspiring Women campaign, it is reproduced here with their permission.